What is "Bad Faith" Insurance? "Bad faith" insurance occurs when an insurance company treats you unfairly or unreasonably. When you sign up for insurance, you are given a contract outlining the benefits you are entitled to if you are ever involved in an accident or natural disaster. If your provider withholds benefits from you, this is considered "bad faith." If your insurer breaks any legal standards set in your contract, this is considered "bad faith." What is the Insurance Definition of "Bad Faith?" There is no technical definition of "bad faith." Most states define it as "unreasonable or unfair conduct by an insurance company." There are several ways an insurance company can commit "bad faith." For example, if your insurance company delayed handling your claim, refused to defend a lawsuit, refused to make a fair settlement offer, or interpreting your policy unfairly, you may have an insurance "bad faith" claim. How is "Pro Rata" Calculated with the "Principle of Average?" "Pro rata" is the term coined with "proportionate distribution." Insurance companies use pro rata to calculate the "principle of average" or "condition of average" for your claim. What is the "principle of average?" This is the figure the insurance company gives after using pro rata distribution to compensate you for your damaged property. For example, a homeowner takes out $300,000 worth of flood insurance for their home, and their home is valued at $400,000. A hurricane comes and leaves $60,000 worth of flood damage. If the flood insurance policy uses pro rata to determine the principle of average, the insurance provider is only responsible for covering the proportion the homeowner has insured. Since the homeowner only has insurance covering 3/4 of their home, that means they would only receive 3/4 of the amount that their total damage is worth. The homeowner would receive $45,000. Insurance companies are constantly trying to find ways to give you less money. Be careful when reading your policy. Should I Give an Insurance Adjuster My Medical Records? An insurance adjuster may ask for additional medical records they believe are relevant to your claim. Sometimes adjusters will ask for X-Ray records to see if you had a pre-existing injury. In certain scenarios, an insurance adjuster may try and use your medical history against you. If an adjuster requests records you feel are irrelevant to your claim, politely tell the adjuster you do not believe he/she need the medical records. Or ask the insurance company to pay the hospital for the records. Typically, a small fee is incurred when a request medical records are made. If the insurance company agrees to pay the fee, then the information requested must be vital to your claim. Do I Have to Pay Premiums for a Totaled Car? You have to pay your insurance premium until you return your license plate to the Registry of Motor Vehicles. Your policy is terminated once you return your license plate to the Registry of Motor Vehicles. If your license plate was destroyed in the collision or stolen, you must go to the Registry of Motor Vehicles office and receive a lost or stolen plates receipt. For your premium to be canceled, you must provide this receipt to your insurance company. How Can I Ensure I Receive a Fair Settlement? Document the items you had before the accident/natural disaster, and keep a record of your losses. Do not rely only on your adjuster. Get two estimates from licensed contractors about your damages before taking the settlement offer from your insurance company. Do not be afraid to negotiate with your insurance provider. If they will not offer you more, consider hiring an appraiser to receive professional help. What Does An Insurance Company Owe Me? A public adjuster is a person you can hire to help resolve the issues you may be experiencing when solving a claim with your insurance company. However, they cannot represent you in court. Only an attorney can represent you in court. According to bankrate.com, public adjuster "interprets the homeowner's policy, assesses the damage and how much it will cost to repair, and negotiates with the insurance company on behalf of the homeowner until the claim is settled." People typically hire a public adjuster because they do not have time to handle their own insurance claim. If you experienced losses in an accident incurring $10,000 or more worth of damage, you should consider hiring a public adjuster. Public adjusters are there to help you receive the proper amount of compensation you deserve when a claim is too big to handle alone. However, there is no guarantee that you will receive the exact amount of compensation you want. Public adjusters are not miracle workers, but they can help you if your claim is too much to tackle by yourself. For more information about North Carolina Insurance Disputes, read our book. What Should I Do if Additional Damage is Found During Repairs or if My Car is Totaled? This situation is not unexpected and happens often. There is typically more damage found when a vehicle has already been taken in for other repairs. If this situation occurs, the mechanic will notify your insurance company of the additional damages. The appraiser will come back and inspect your vehicle again to reach another settlement including the cost of repairs for the newly found damages. 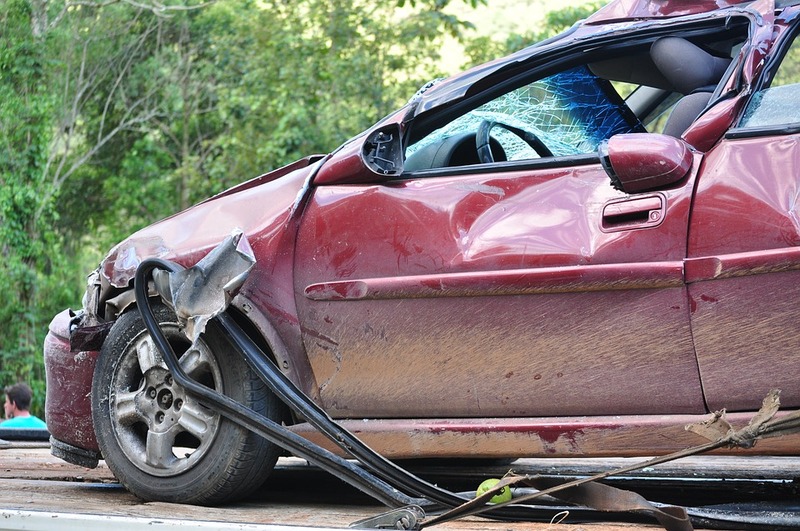 There should be no problem if additional damages are found after a car collision. If your car is totaled in a collision, insurance companies are required to pay the fair market value. In North Carolina, insurance companies are not required to pay more than the fair market value. The total amount of your damages or what you owe on your car is not included in the fair market value settlement. What your car was worth right before the collision is how the FMV amount is determined. Continue to make payments on your vehicle. The bank will continue to charge you, and problems will arise if you fall behind on your payments. What Moves Do I Take if an Insurance Company Continues to Deny My Claim? Insurance policies are filled with loopholes so companies do not have to hand out money left and right to their clients. Their goal is to give you as little compensation as possible. If an insurance company continues to deny your claim, contact an attorney. Brent Adams and Associates is here to help. Call 877-273-6823 or click here if you want to schedule a free consultation. 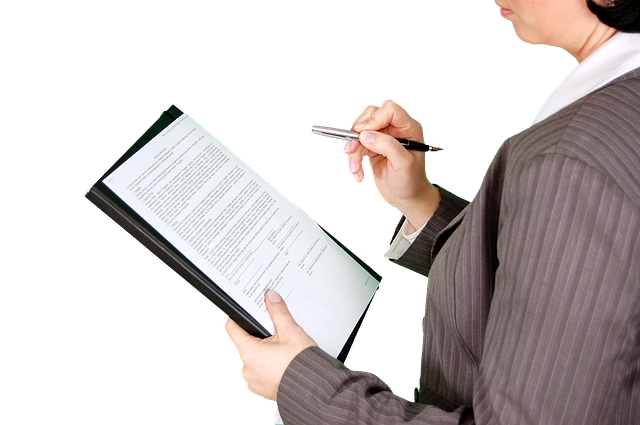 After reviewing your policy, he and his qualified team of attorneys will determine if you have a case. Why Do Insurance Companies Break Contracts? It is your provider's best interest not to pay for your claim because it saves them money. Insurance companies receive piles of claims every day and wrongfully deny several of them. Few people take their claim to court, which saves the company millions of dollars. When an insurance company refuses to pay your claim, wrongfully denies your claim, denies payment or does not offer you an adequate amount of payment, you should contact an attorney. What Are Examples of "Bad Faith" Insurance? Bad faith occurs when an insurance company fails to properly investigate a claim. If a provider interprets a policy unreasonably. And unreasonable settlements are all practices of bad faith. What Should I Do Directly After a Tornado? Turn off the gas or water in your house to see if there are any leaks. Patch holes in the roof or windows to prevent further damage. Dry wet items such as documents or your possessions. Make temporary repairs until your insurance company can evaluate your losses and to prevent further damage. These are the steps you should take after the storm has passed and you are no longer in danger. Is the Insurance Company Responsible for Cleaning My Yard? Although policies are different, most policies state that homeowners are responsible for clearing the debris after a natural disaster. An adequate amount of coverage, however, may cover this type of work. If your home was destroyed in a natural disaster, your local government may be able to coordinate a debris removal project for your house. For re-compacting soil and/or testing damaged soil, contact a qualified adjuster and ensure you are charged a reasonable amount. How Important is Accuracy in an Insurance Application? You must provide your insurer's sales agent with all the relevant information possible. You must ensure the information you are providing is true and accurate. Make sure the agent does not rephrase your answers. If you are dishonest with any information you give in your application, your future claims will be denied or your policy will be canceled. What Will Happen to Certain Features of ObamaCare? Children up to 26-years-old will be permitted to stay on their parents' insurance plan. Insurance companies will not be allowed to deny coverage based on preexisting conditions. Health care plans will still be required to cover preventative services such as shots, screening tests, or wellness visits, at no cost to you. Are subsidized healthcare plans still available? Yes, federal subsidies will still be available for the 2018 year. Subsidies help keep the cost of monthly premiums down to make plans more affordable for low-income families. It has been estimated that nine out of ten of the half a million N.C. residents under the ACA 2017 plans received financial assistance for their health insurance. The other 10 percent of North Carolinians had their insurance covered in full. Will My Monthly Premium Increase? Yes, your premiums are likely to increase. People who do not purchase insurance through the exchange or directly with insurers are likely to see an increase of 10 percent within the next few years, CBO estimates. The Charlotte Observer explains this is because healthier people are less likely to buy insurance since there is no longer a penalty fee. Also because of higher premiums, this will cause the younger, healthier people to refrain from purchasing insurance. Can I Enroll in Health Insurance in the State of N.C.? No, you cannot enroll through the federal exchange in North Carolina because the open enrollment period closed on December 15, 2017. Five hundred thousand twenty-three and nine hundred eighty-nine North Carolina residents enrolled during the enrollment period. The only exception is for those nationwide who experienced hardships due to the hurricanes last fall. A consumer is allowed to enroll if they undergo a "qualifying life event." These are a few examples of qualifying life events: getting married, having a baby, or moving and changing zip codes. If this has occurred, a consumer can enroll through a special type of enrollment. Insurance can also be obtained directly from insurance providers.